DeLena Ciamacco: The Real Estate Expert: OPEN HOUSE IN MARINERS COVE! Two-Story home on ~1/3 acre mature treed lot close to Hoover Reservoir! ~3,200 SF on 3 finished levels! Two-Story Foyer with wood floors. First Floor Den with built-ins. Updated Kitchen has wood floors, new appliances, granite counters and walks out to a deck with awning. Spacious Family Room with brick fireplace. 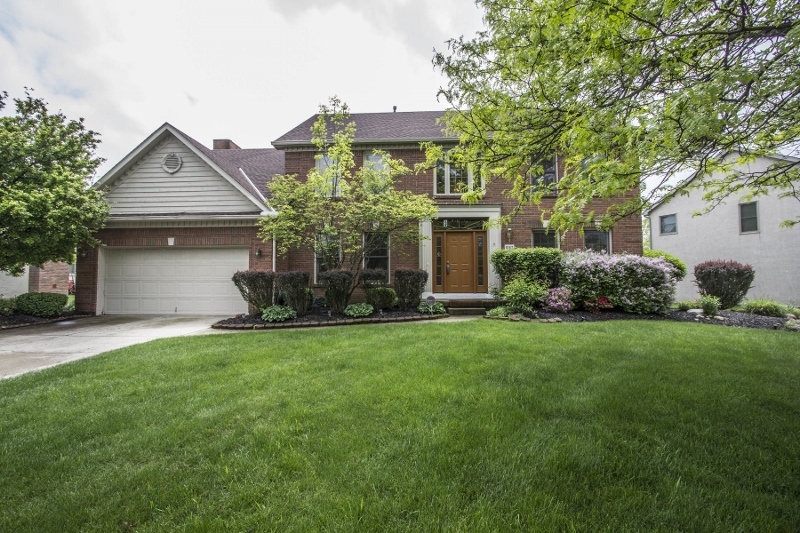 Vaulted Master Suite has huge walk-in closet & vaulted Master Bath with whirlpool tub. Finished Lower Level boasts a Theater Room, Recreation Room, Wet Bar/Pub, Full Bath & dance floor (possible In-Law/Teen Suite). Too many upgrades to list! 4 BRs & 3.5 Baths. Westerville schools. Only $329,900! Call DeLena today!